Utterly delightful! 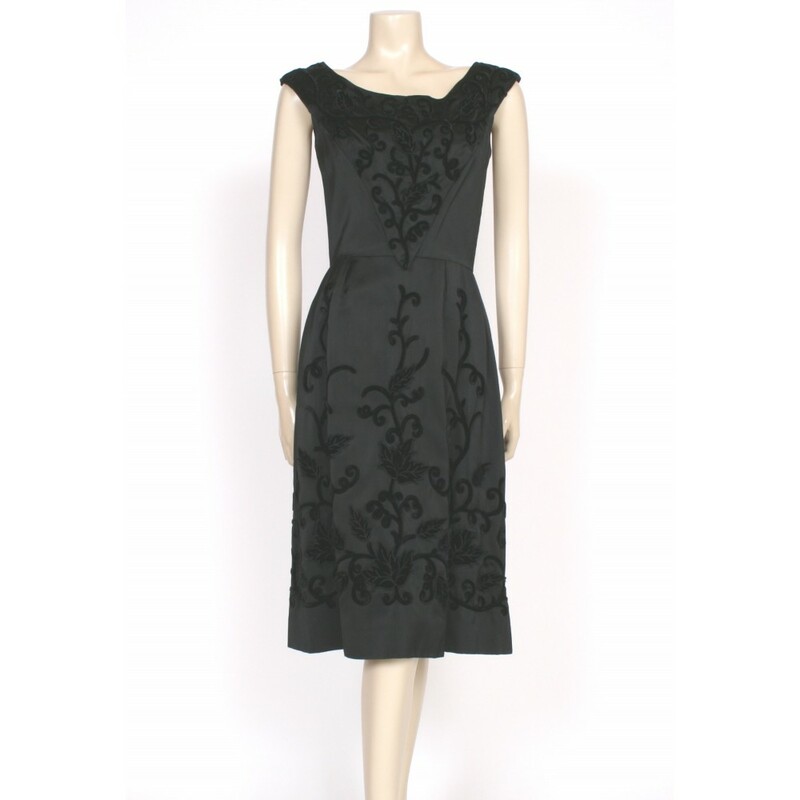 This little black dress is so Audrey Hepburn, so elegant and simple, a great addition to your wardrobe that you can wear time and time again. 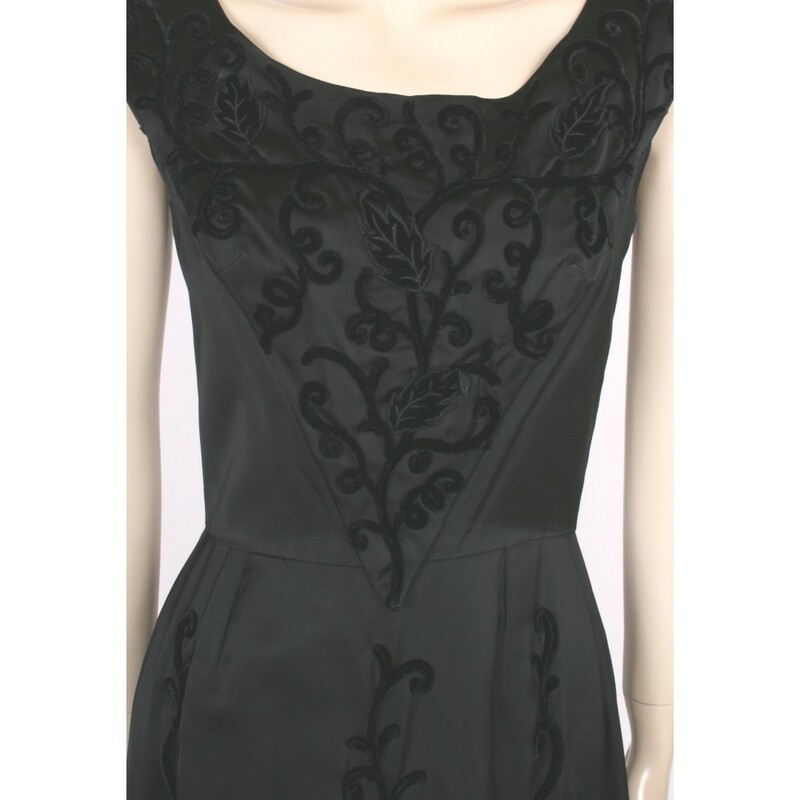 This dress has a 'Julien Rose, London' label and the quality and craftmanship on this dress is beautiful. 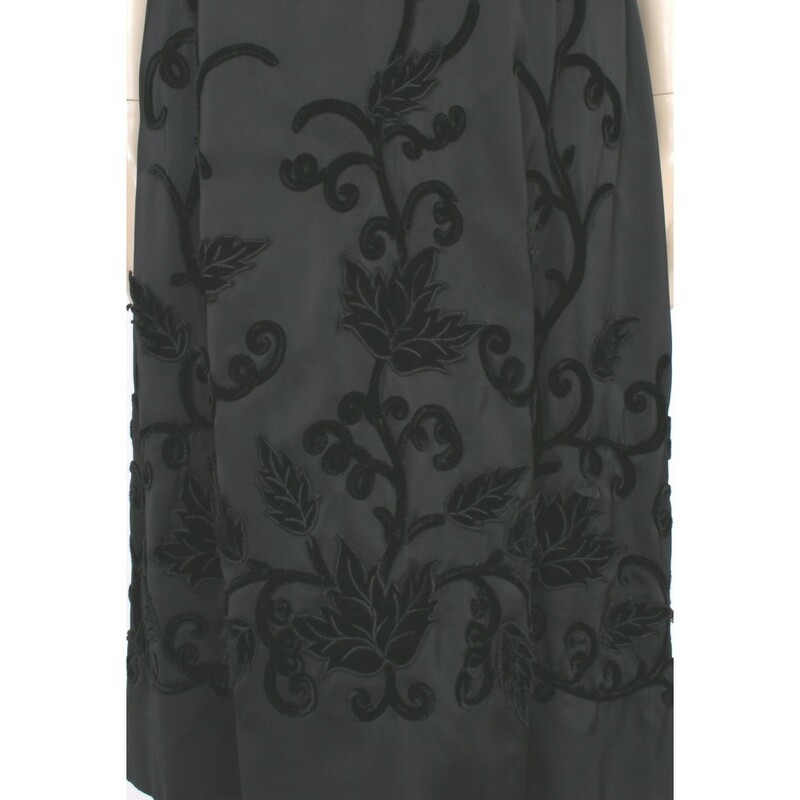 Weighty black satin, stunning shape, wide scooped neckline, zip at the back, simple straight waist and wiggle shaped fitted skirt. 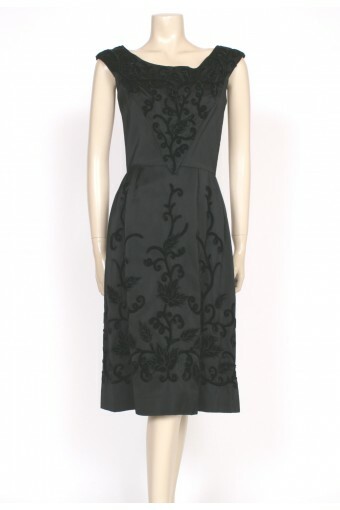 The dress has the most amazing velvet piping and velvet leaf applique detail, it really is sensational, one of the best black cocktail dresses I've ever seen! Size UK8; bust 32-34". waist 26", hips 35", length from waist seam to hem 26"
Amazing used and worn vintage condition but no major faults or damage to note.